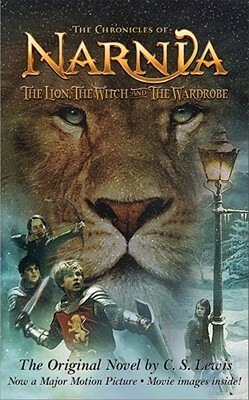 A mass-market paperback edition of The Lion, the Witch and the Wardrobe, book two in the classic fantasy series The Chronicles of Narnia. This edition features black-and-white illustrations by the original illustrator, Pauline Baynes, and eight pages of stills from the epic motion picture. Step through the wardrobe and into The Lion, the Witch and the Wardrobe, the second book in C. S. Lewis's classic fantasy series, which has been enchanting readers of all ages for over sixty years. This is a stand-alone novel, but if you want to return to Narnia, read The Horse and His Boy, the third book in The Chronicles of Narnia.